Hearing your stories of dressing with less is so inspiring. While some of you started Project 333 to learn how to develop a personal style, change your shopping habits, and look your best with what you have, you found out that there are so many things that are more important to you than clothing. When you stop worrying about what you are going to wear each day, you free up more time and energy to pursue your passions and live a meaningful life. Thank you so much for the link to my blog, Courtney!! I’m sticking with P333 for the long haul now, and hope to reduce my items further over the next 2 seasons (the ones boxed up) as I learn the value of versatility in designing my wardrobe. I’m glad people are seeing examples of how to live with less, and thanks for including me as one of them! I am honoured to be here! 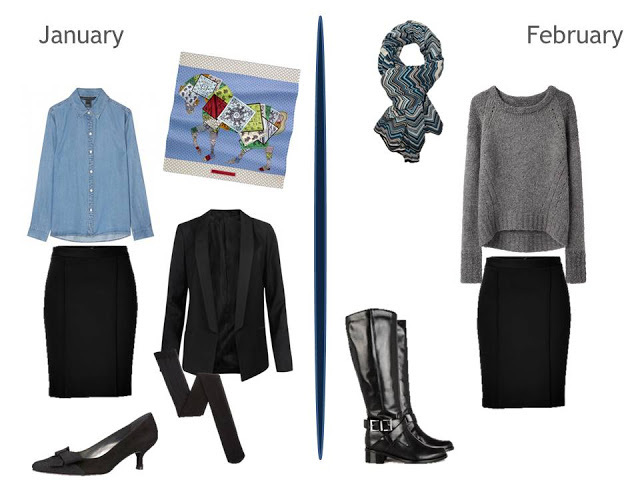 Thank you so much for sharing “14 Days In A Carry-On!” I love the idea of Project 333 and capsule dressing. The #1 thing that people comment on that post is how they just don’t think they can get by with so few things. Little do they know, they can, and if they just try, they’ll actually love it. It makes my life infinitely easier. So happy to see another great community stressing the importance of “less is more.” Cheers! I just wanted to thank you for the honor of being featured for my Chambray Shirt Project! I was not familiar with Project 333 until my blog was linked, and it seems like an incredibly helpful concept and site! Great work, and again, honored to be included! Blessings!